“Helping Children Get Off the Streets and Receive the Education they Deserve”! Nairobi, Kenya | Green Plus Revolution is a program under the Green Plus Kenya geared, towards improving lives and creating Environmental Consciousness through Sensitization. Green Plus Revolution takes a step towards improving the lives of the people in the environment so as to empower them to improve and conserve their environment. This program bring into consideration the need to enable to improve the lives of Street Kids whose main sustenance comes from the Environment(waste dump site) through empowering them with necessary Education and the opportunity earn an income from conserving/managing the environment (recycling of waste). Green Plus Revolution has hereby announced that it will be helping street children to be self-sufficient by creating educational and personal opportunities. 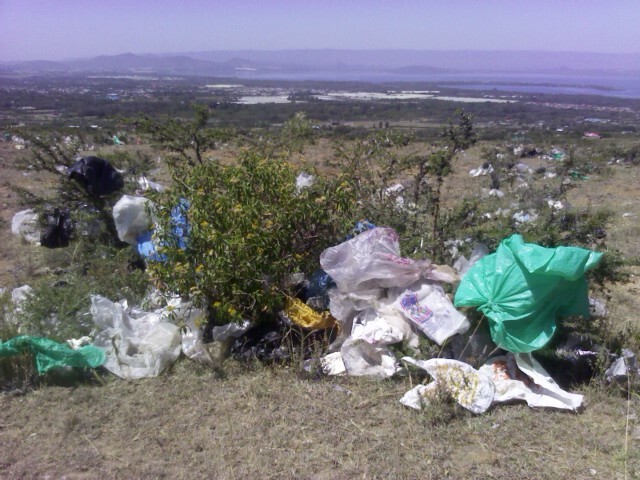 The plan is to establish Green Income Generating Activities (GIGA) in pre-selected waste dump sites, through recycling different waste material at different levels, for example turning biodegradable (kitchen waste) waste into organic fertilizer, then selling it as packed fertilizer, turning plastic waste into molded plastic poles. This non-profit programme is requesting donations, after which it will be self-sustaining. Through donations and profits, children will be able to attend school, as well as learn valuable technical (waste management) working skills. The goal is to eliminate child poverty, and to provide street children with the education they deserve in order to become self-sufficient, responsible and proactive members of society while working toward a green, sustainable environment. These children currently are facing harsh conditions of poverty and homelessness, with no hope of a better future. This campaign aims to change this, and see street children acquire education and happy. In addition to education and work skills, these children are also going to have something that many of them have never known: homes! They will also have jobs for the first time in their lives, and have the chance to take part in enhancing their own futures. Many of these children are unable to attend school simply because they can’t afford uniforms and a daily upkeep (food). With the donations received-Green Plus Revolution receives, school fees will be paid, as well as the cost for school uniforms and other clothing and allocate them in an existing home. They will have better living conditions, and they will finally have the opportunities that they see other children having. Children who have addiction issues will receive treatment at rehabilitation centers to help them learn how to live healthy, happy, drug-free lives. Finally all older street Kids will get a job opportunity at the waste recycling units that will be established at the various sites. A total of $50,000 USD in donations is needed to purchase land and develop a recycling plant, as well as to pay for the school fees and uniforms for street kids who live on this waste dump sites. A total of $10,000 is to be used for purchasing land near one of the largest dump site in Kenya(Nairobi), and $20,000 for its development. If this goal is not reached, all donations received will still be an immense help, and will be used to fund education and temporary housing allocation for street children. No donation is too small, and all donations will be used to help the children. Everyone is urged to share this campaign with their friends, family members, co-workers, and other associates. The more people know about this project, the better the chances are of these children having better lives. All children deserve the chance to go to school, and live in a clean environment and children in Kenya are no exception. Green Plus Revolution is working to make this possible. Visit http://www.indiegogo.com/project/preview/bf72acf9 to learn more, and to use the Indiegogo share tools to share information about this campaign with others.